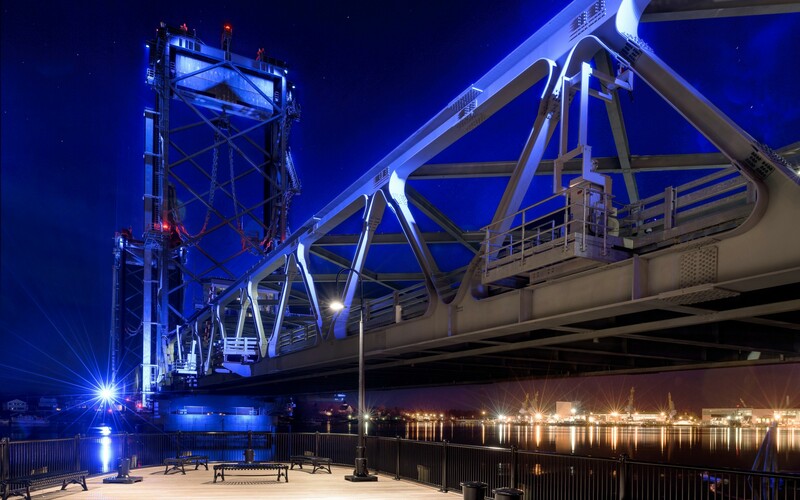 The Memorial Bridge was built in the 1920s as a memorial to soldiers who lost their lives in World War I.
Lumenbeam Large and XLarge RGBW luminaires replace sodium vapor lamps that had been used on the original bridge. The RGBW feature adds white light to provide extended color and brighter whites and pastels. 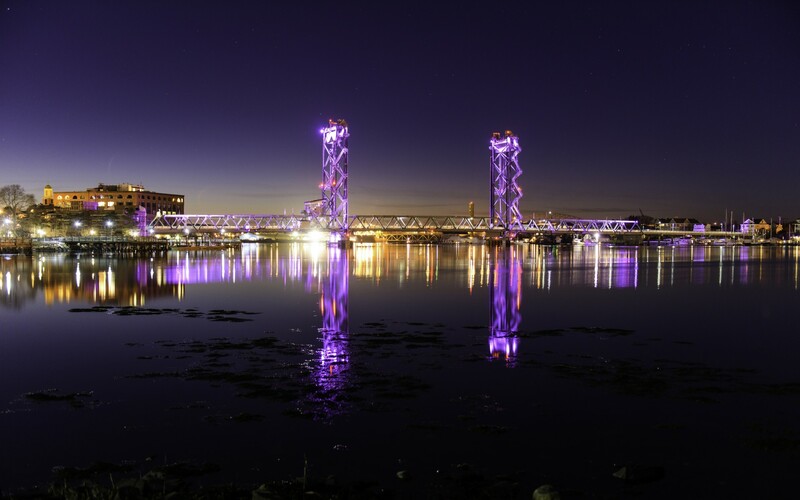 As part of the reconstruction of the World War I Memorial Bridge between New Hampshire and Maine, lighting designer John Powell used Lumenbeam luminaires to give the structure an eye-catching nighttime presence. 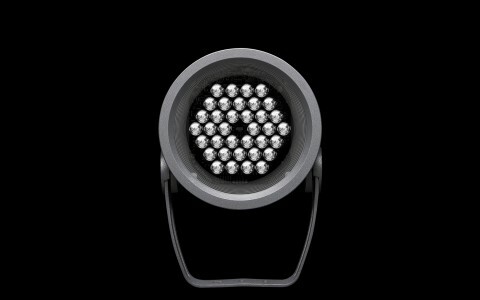 La famille de produits Lumenbeam pèse moitié moins lourd que tout autre produit sur le marché qui procure une émission lumineuse équivalente, en plus d'être dotée de systèmes de contrôle plus simples qui la rend très pratique pour ce genre d'installation. 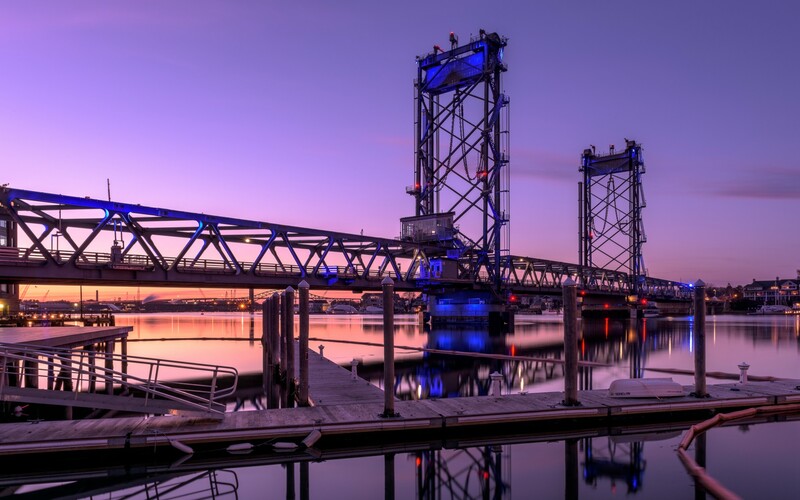 Spanning the Piscataqua River between Portsmouth, New Hampshire, and Kittery, Maine, the Memorial Bridge was built in the 1920s as a memorial to soldiers who lost their lives in World War I. 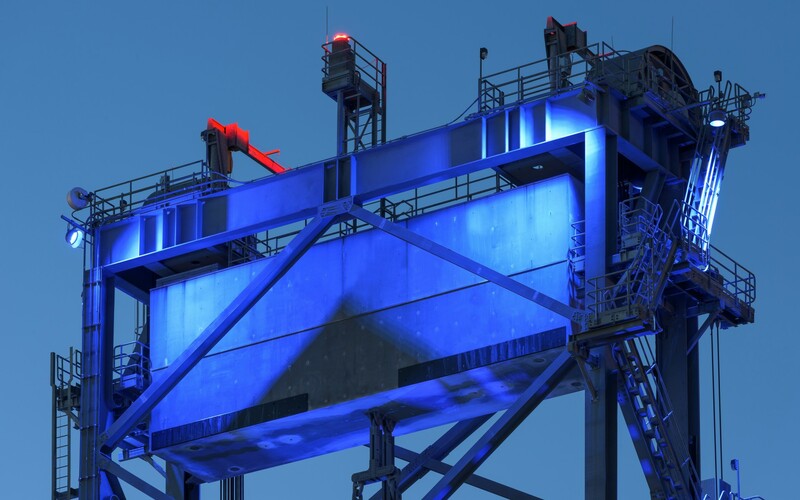 As part of a rehabilitation project, lighting consultant John Powell of Light Time in Space was tasked with giving the structure an eye-catching new lighting design. 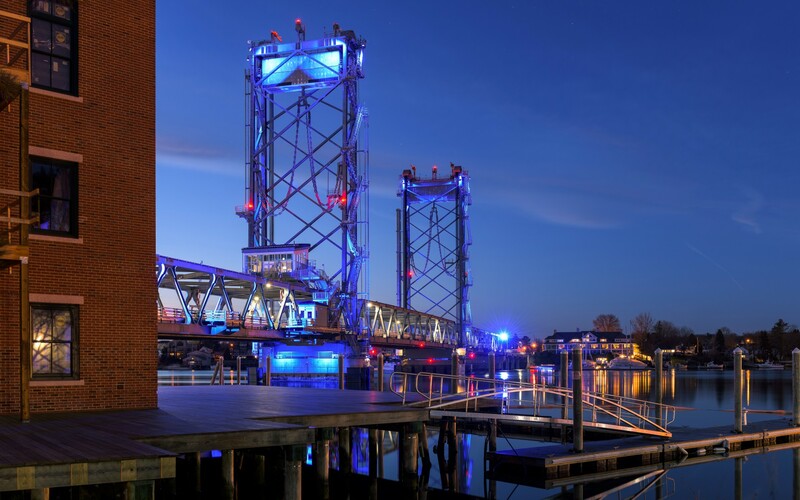 "The idea was to illuminate the towers in an aesthetically pleasing way, to celebrate the harbor and historic Portsmouth," Powell said. 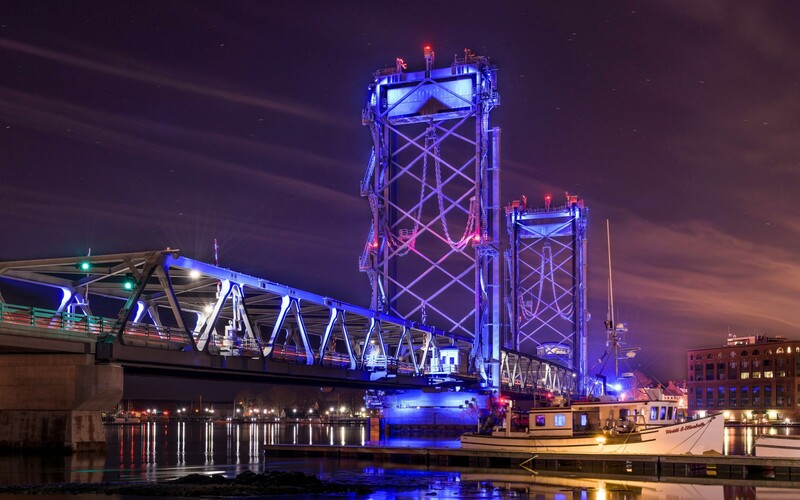 "Initially, the bridge was slated to be a single color, but as the community began to understand what was possible, they became interested in programmed lighting," he said, adding that any skepticism of LED technology was quickly dispelled. "I did a demo with a Lumenbeam Grande fixture in the middle of a conference room, and nobody could tell it was on until you looked at the ceiling—there was no glare. After that, the support was really overwhelming." 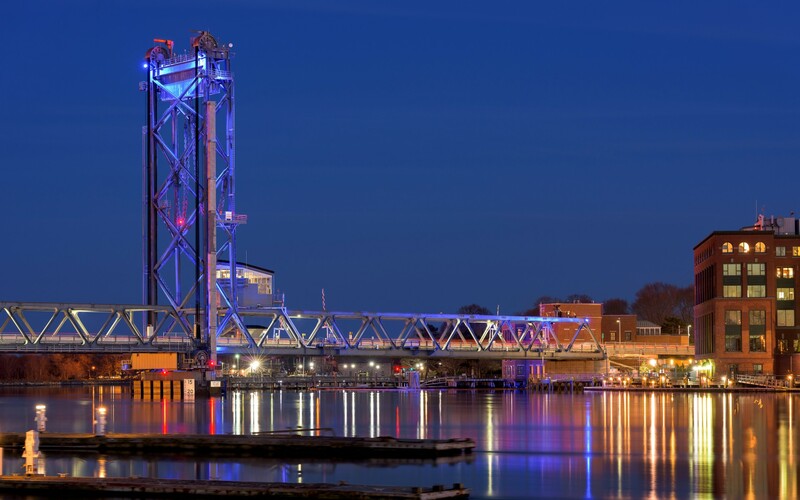 Powell opted for Lumenbeam Large and XLarge RGBW luminaires, replacing sodium vapor lamps that had been used on the original bridge. The RGBW feature adds white light to provide extended color and brighter whites and pastels. 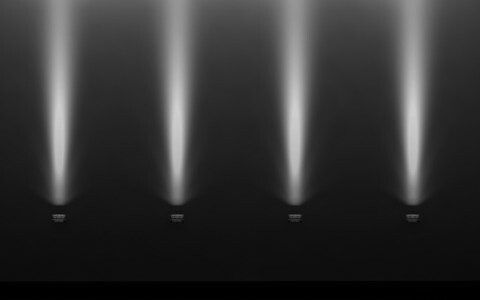 "The Lumenbeam family has half the weight of anything else on the market with the equivalent output, and with simpler control systems, which made it very practical for this kind of installation," Powell said. 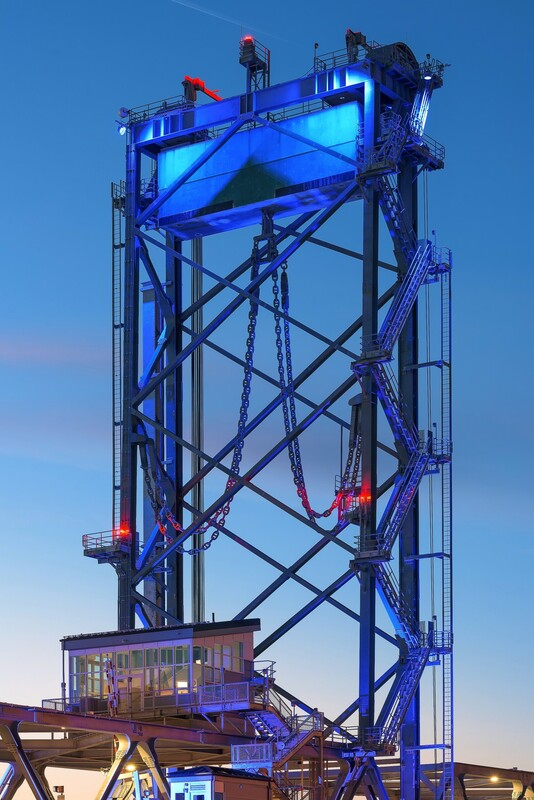 Luminaires were mounted to the exterior of the bridge's towers, at both the top and bottom. The fixtures, which use 40 and 60 degree beam angles, are aimed upwards, through the structure, accenting the bridge's architectural form. Additional luminaires at the top of the towers are then aimed back down across the structural numbers. 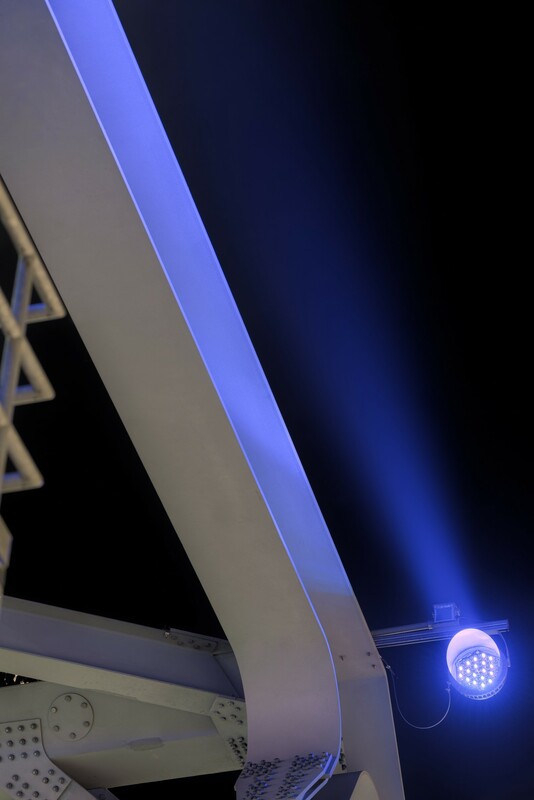 "By having lights up and down the tower, we can have programming that makes the light appear to go up and down the tower, strengthening and pulling back on illumination and color," Powell said. To accomplish this, Powell used a wireless DMX system. 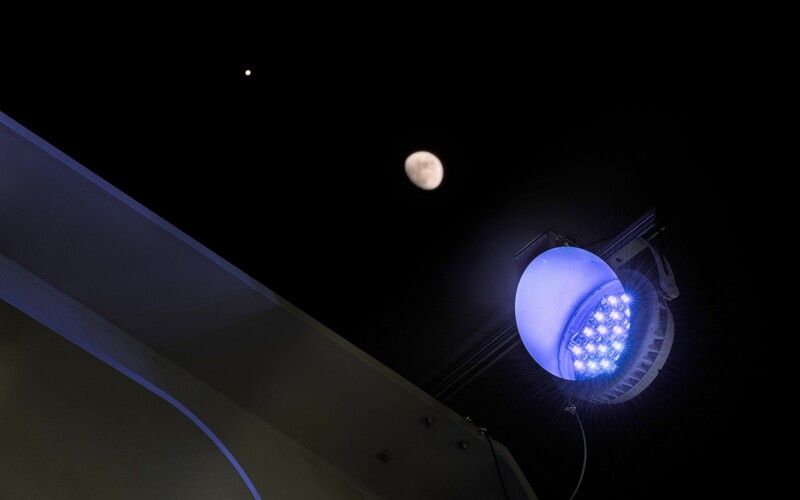 "We couldn't have direct wire communication so we had to use a wireless system between the two towers to keep the lighting systems coordinated, and Lumenpulse made it possible," he said. 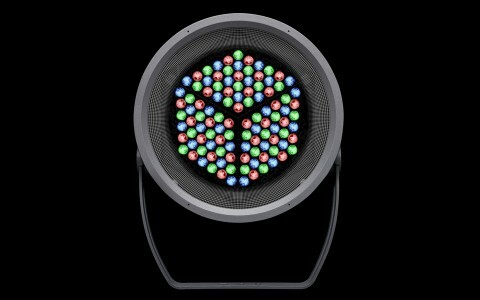 The result is an eye-catching, dynamic lighting design that can be programmed to change colors and intensity for different seasons or events. "The community is really happy with the new bridge," Powell said, adding that the impact of the lighting design has been far reaching. 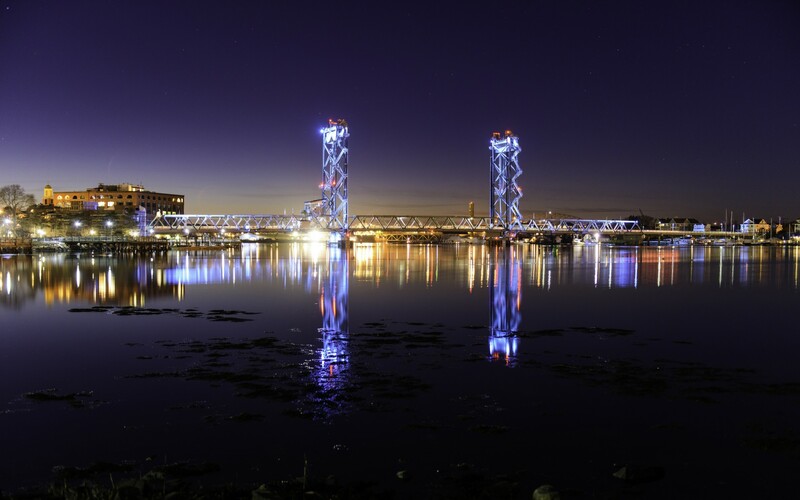 "It convinced New Hampshire to go with LED roadway lighting for this bridge, a first for the state."